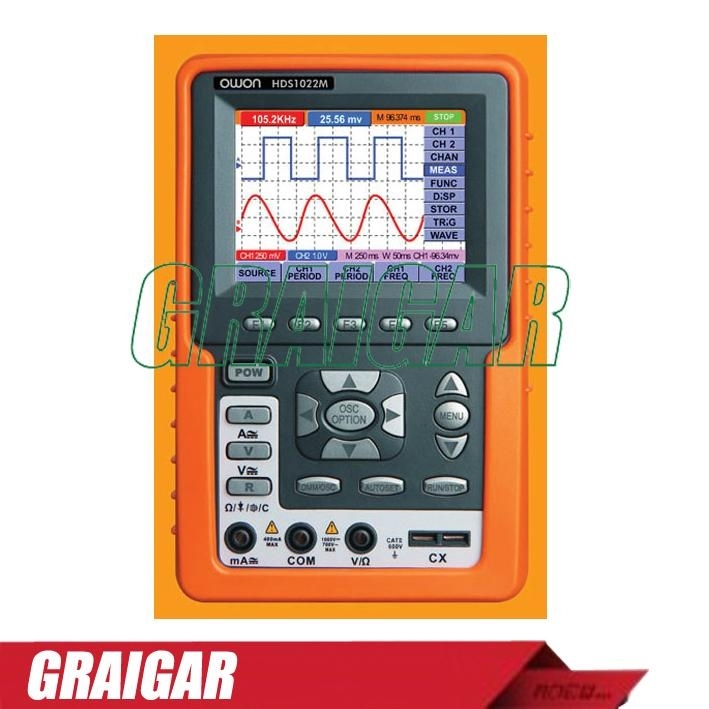 The new digital multimeter and storage oscilloscope HDS1022M-N offers reliably and high quality measurement technology for a really good price. The colorful LCD panel with the resolution of 640 ¡Á 480 makes the wave easy to read, especially when a big data or many wave covered reciprocally. Wherever and whenever, you will view the best display for all info by this LCD panel. The HDS1022M-N offers 20 MHz bandwidth and a sample rate of 100 MSa/s in dual Channel.